Big Data can have a positive influence in helping drive down long-term premiums – a trend that is currently threatened by poor pet oral health, among other pet parent education issues, according to Aquarium Software. As pet insurance providers see a significant rise in claims, technology specialist Aquarium Software reaffirms the importance of insuring your pets, to avoid hefty veterinary bills. 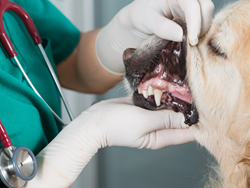 Across all pet types, mouth and oral disorders – such as abscesses; ulcers; and wounds – saw the sharpest increase in claims between 2016 and 2017, rising by 25 percent. New Direct Line analysis also revealed the average cost of vet treatment for dogs and cats has risen by four percent over the past year, with average claim rising by £29, from £728 to £757. “This is hopefully only a short-term setback for the industry,” said Aquarium Software Director, Mark Colonnese. “It’s sad that pet owners and the general public would expose pets to this new risk, on top of passive smoking and over-feeding which have previously been flagged as concerns,” he said. “With claims rising for certain specific treatments such as oral disorders, technology combined with better education will make it much easier to bring premium clarity for pet parents in the future,” said Mark. “Perhaps a pet ‘driving licence’ is something that might take on in the future. The key thing here is that consumers have more control over the price of pet insurance than they think; at the moment, poor animal stewardship by a small proportion of owners is pushing certain premiums up. Frankly, that is not the insurance industry’s fault, yet we can all do more to highlight what good pet parenting looks like,” added Mark. “Furthermore, smarter premium ratings will ensure that you are not penalised in the future for the bad pet parenting of others; your premium will be calculated entirely on the risk profile of you and your pet,” concluded Colonnese.